Love Horses? Love Nature? This farm may be for you!! 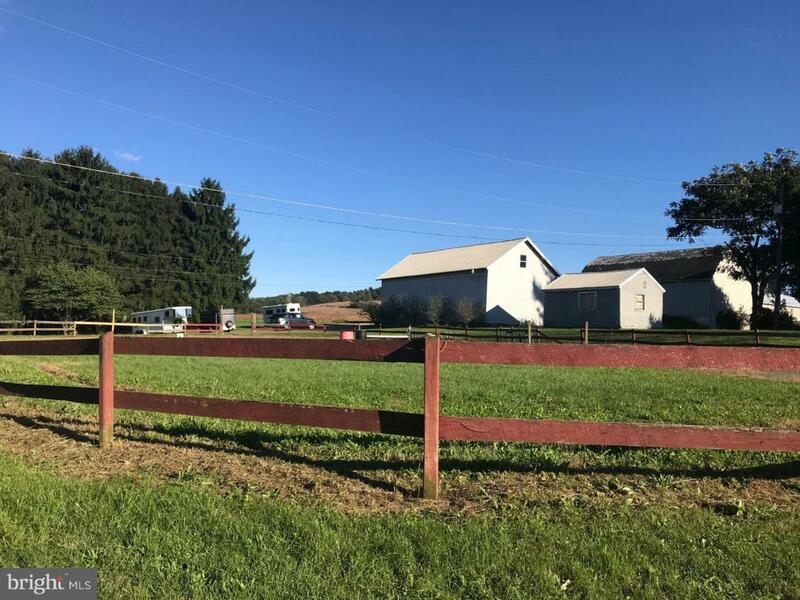 Commuter Friendly & Nestled in a suburban/rural area between Schuylkill Haven & Pine Grove, this 29.7 Acre Horse farm has been family owned & operated since 1977. Property consists of a Large 3 Bedrm Farmhouse (with generator back-up) in average condition, a 120 x 60 Indoor Riding Arenawith electric & water, a 60 x 45 Bank Barn which offers 14 Stalls and 2nd Fl storage, A 60 x 30 Barn with 10 stalls, tack room & 2nd fl storage, 3 Bay Garage with second floor, Storage shed with electric, 3 large pastures (2 have shelters)and 2 small pastures, 2 ponds, & 3 wells. Ten stalls are currently rented. UCP's Schuylkill County Theraputic Riding Program has enjoyed the premises for several years. Area cleared near the top where a former residence existed with a private well. Update the farmhouse to suit your style or build your Dream Home & enjoy the view! Plenty of room to enjoy all that life has to offer. Property is being sold AS IS and is currently enrolled in Clean & Green. Don't miss this opportunity!! Shown by Appointment Only. Green Remarks Property is Currently Enrolled in Clean & Green.